Caring staff, friends and family from St Mary’s Court residential care home have raised nearly £1,000 after taking part in a Memory Walk. Nearly 30 people, including relatives of past and present residents of the homes, plus Bella the dog, joined the six-mile route through farmland and woodland near Braintree, taking in Bocking village. 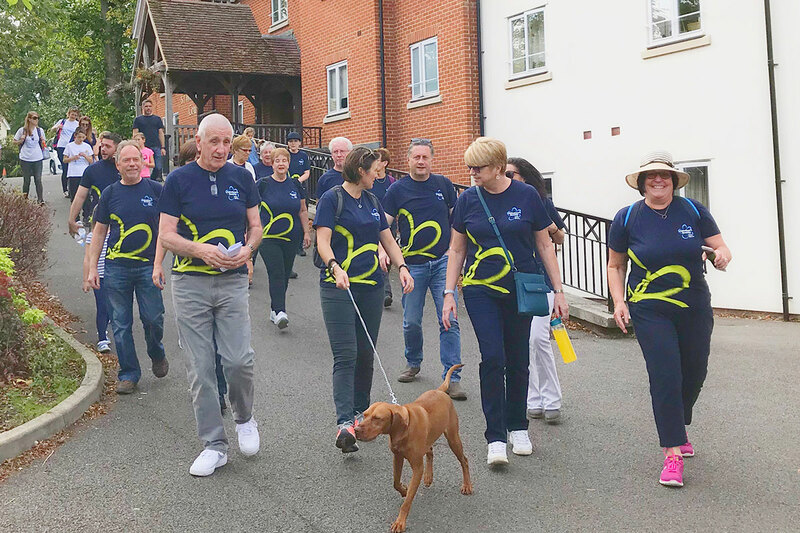 Elderly residents from the homes helped to raise the funds for the Alzheimer’s Society by taking part in a shorter walk around their spacious grounds. “It was a really fun and enjoyable event, particularly as the weather was unseasonably warm! St Mary’s Court provides specialist nursing and palliative care, including dementia care at our residential care home in Braintree, Essex.